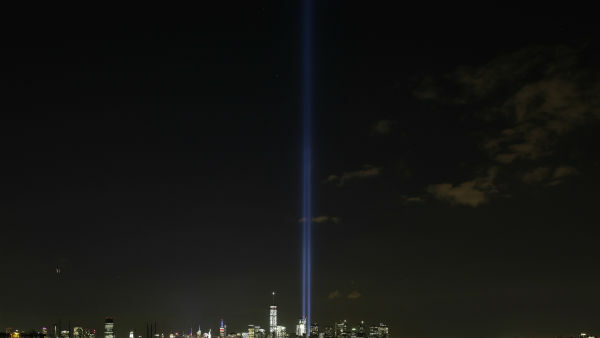 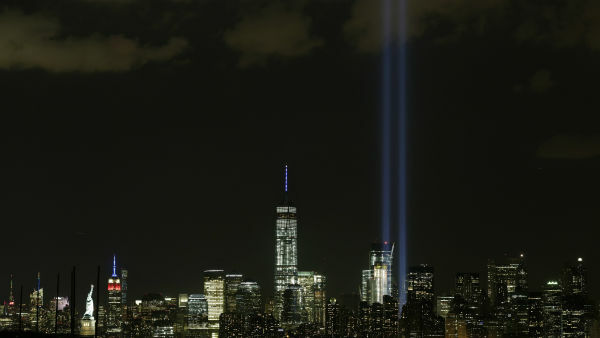 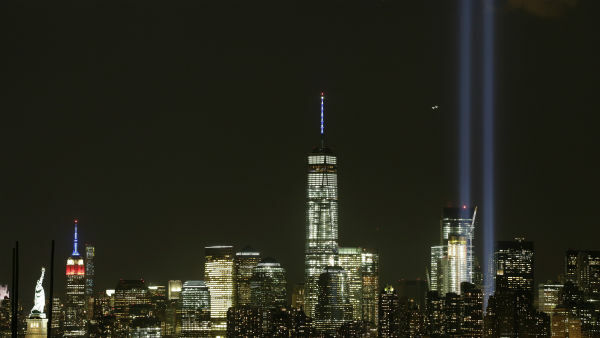 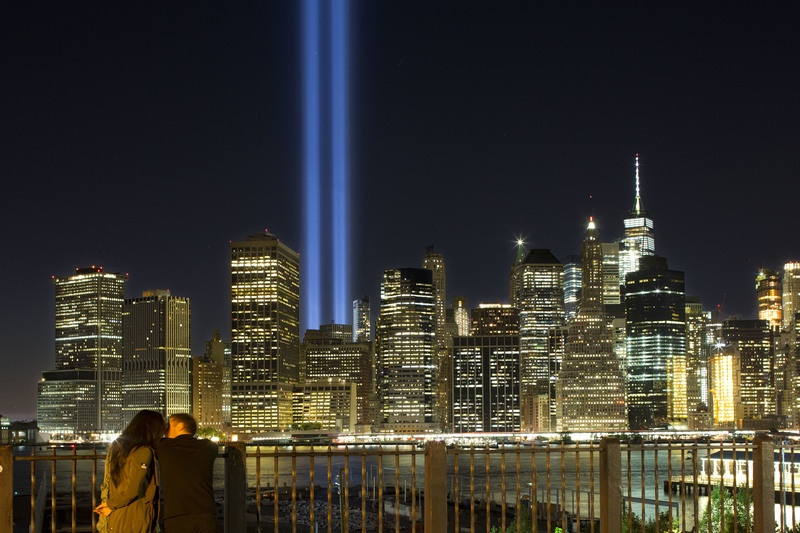 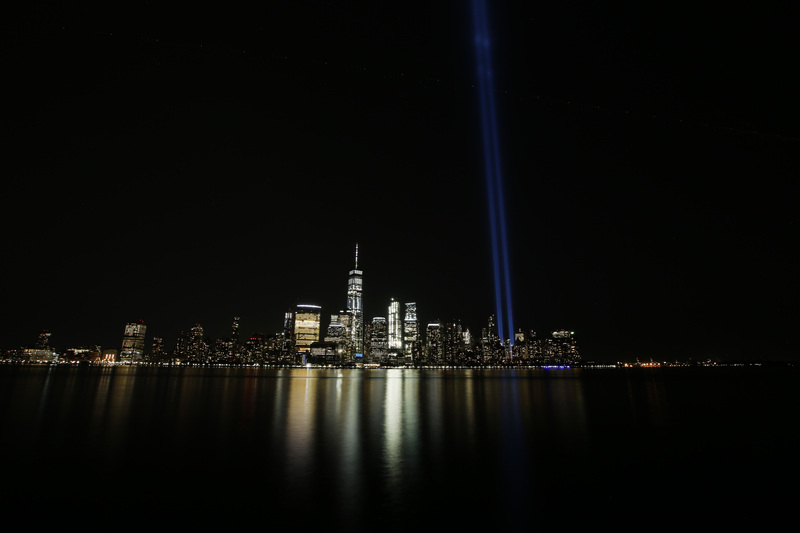 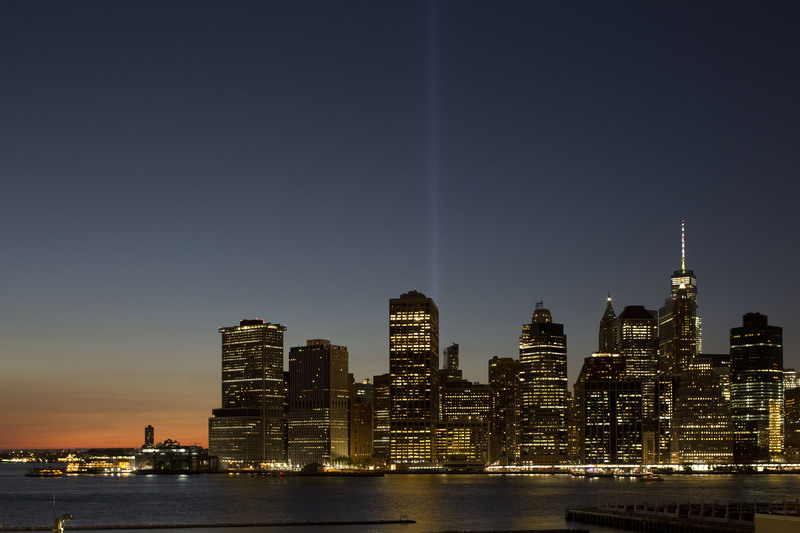 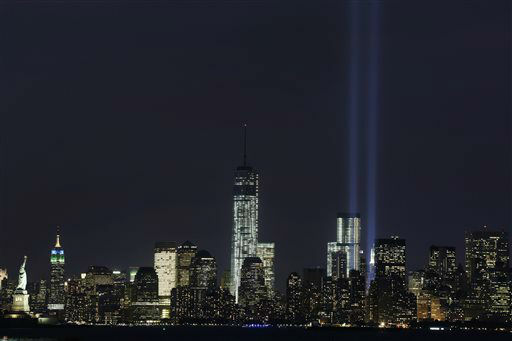 NEW YORK (WABC) -- The annual beams of light that mark the rough footprints of where the twin towers once stood will once again illuminate the New York City skyline. 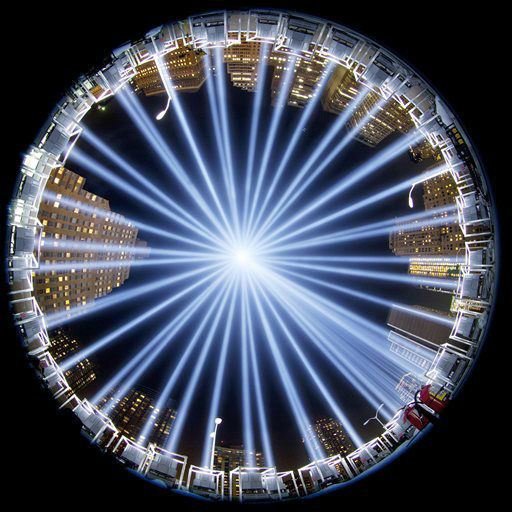 The Tribute in Light is a visual memorial to those who died on September 11, 2001, and is turned on for every anniversary. 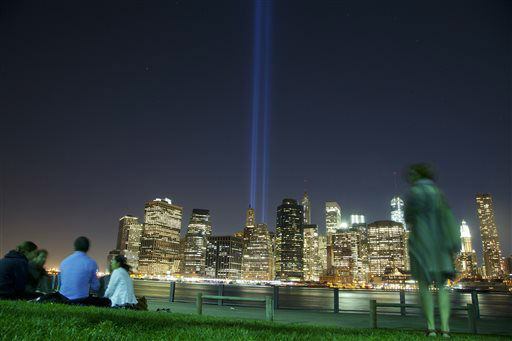 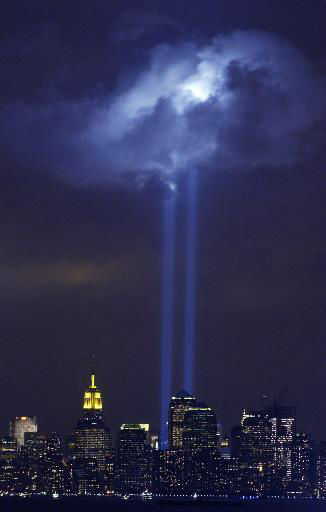 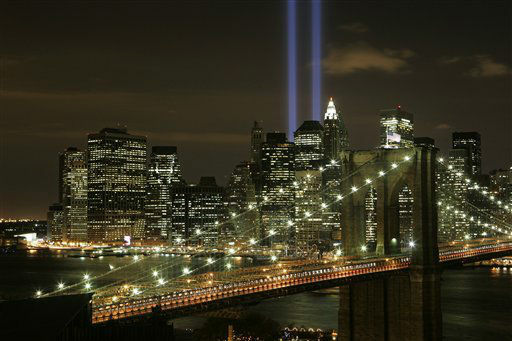 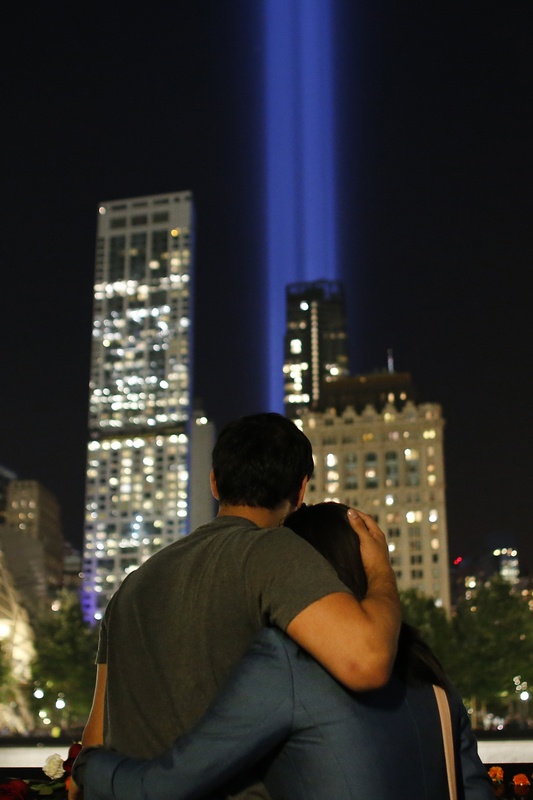 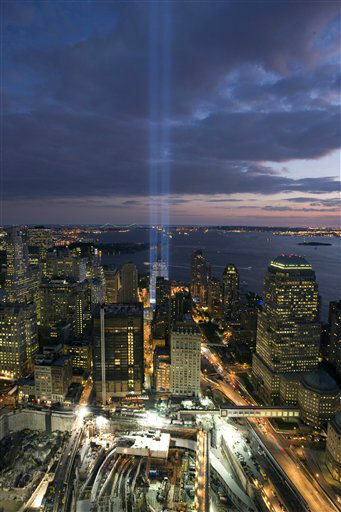 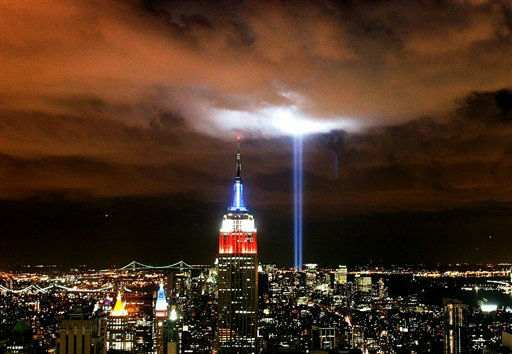 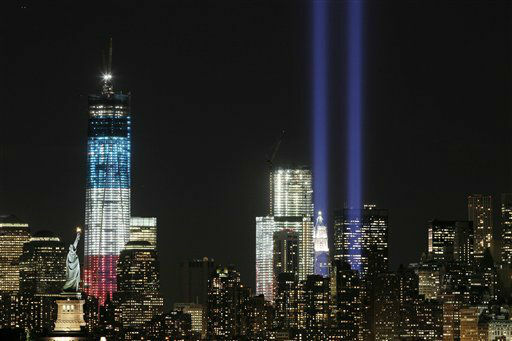 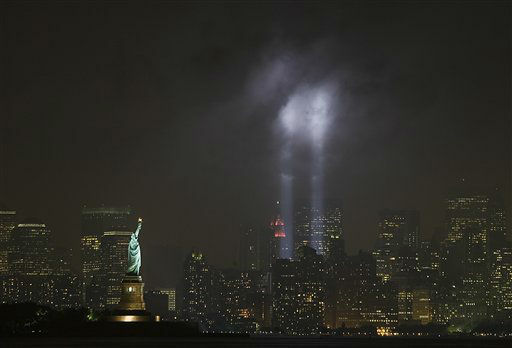 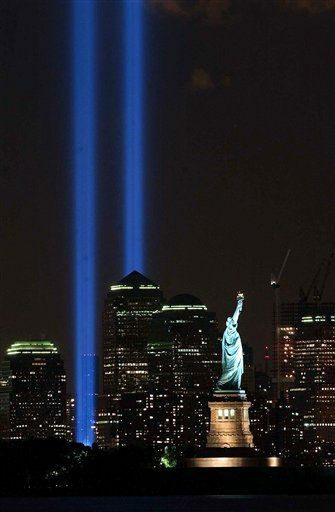 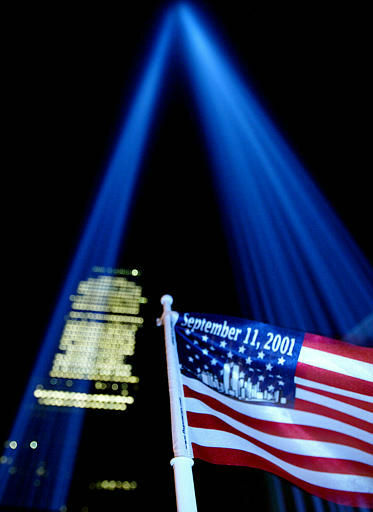 The lights go on at sunset on September 11 and go off at dawn on September 12. 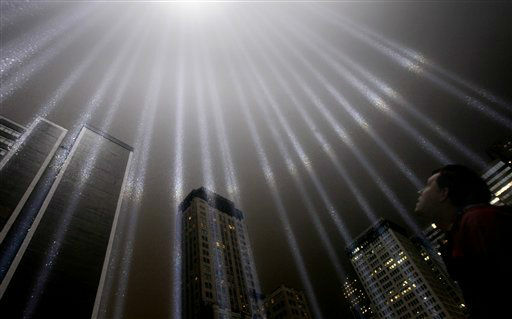 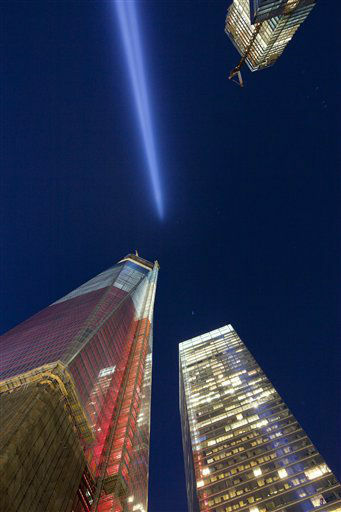 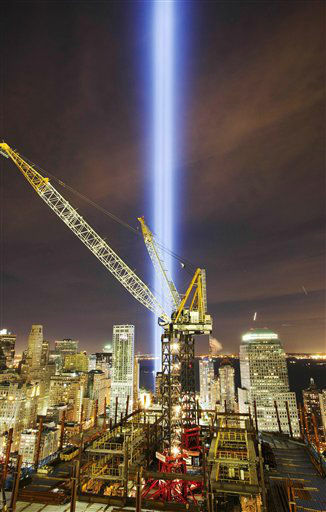 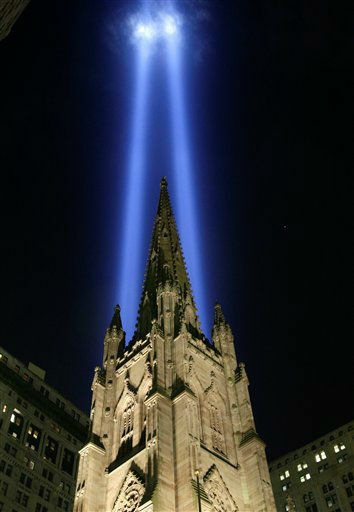 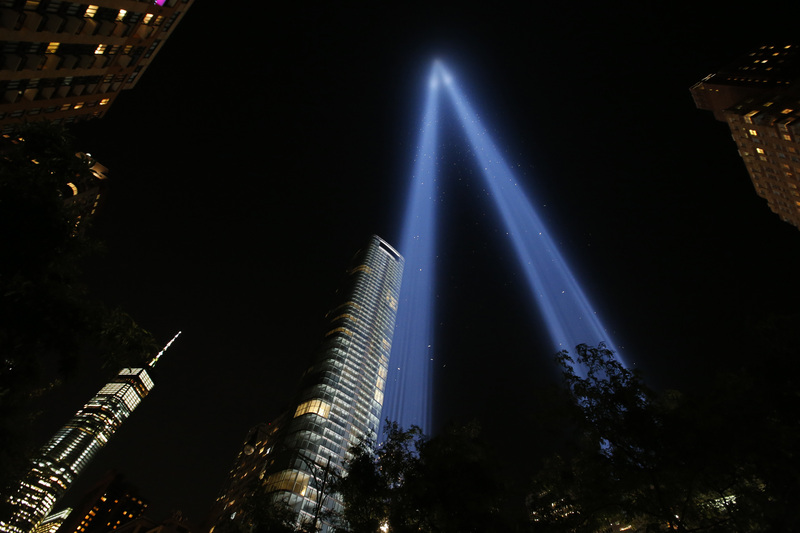 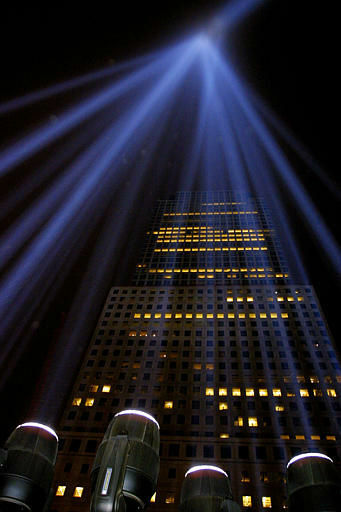 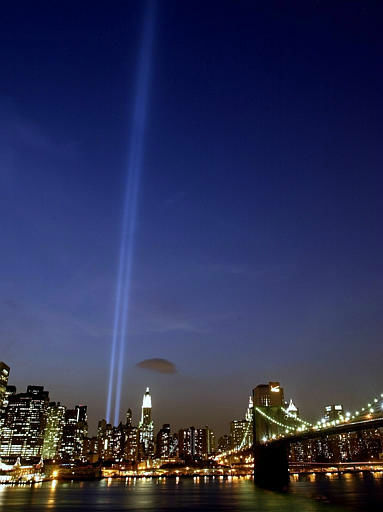 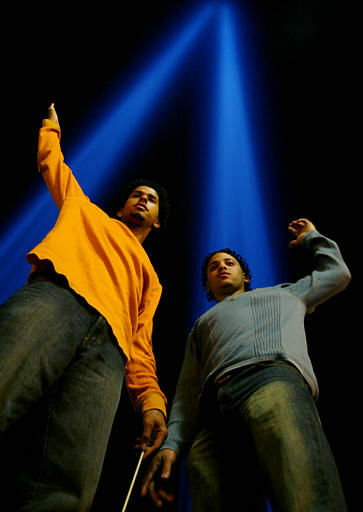 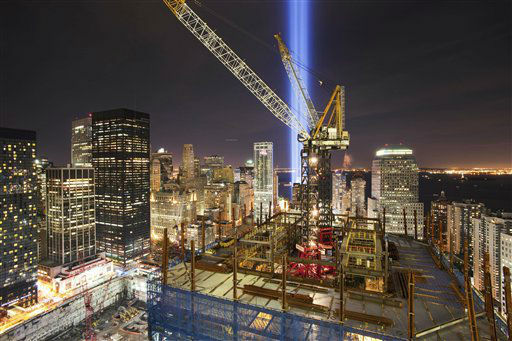 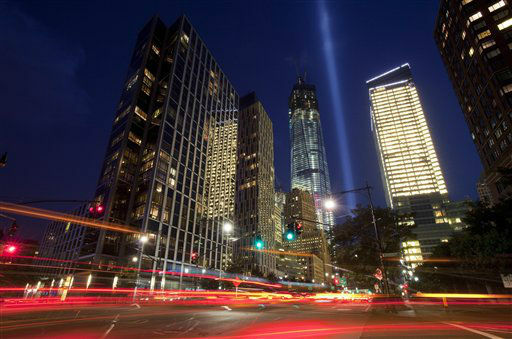 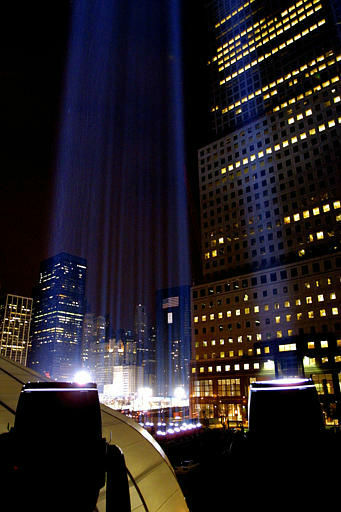 The beams, coming from 88 searchlights south of the World Trade Center site, were first put in place six months after the attack and are now a yearly tradition. 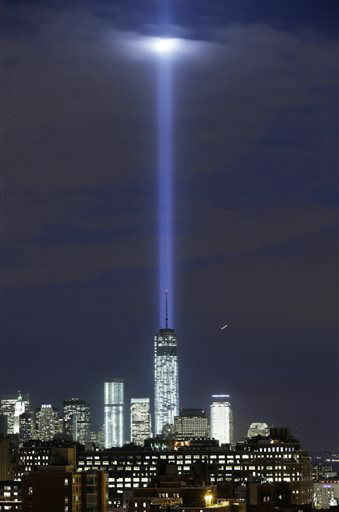 At full power, the lights can be seen for many miles, depending on the weather. 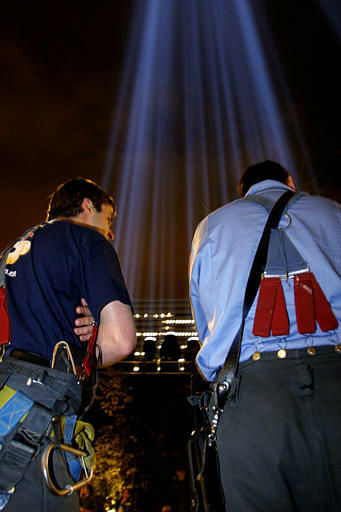 Check out pictures of the tribute through the years.